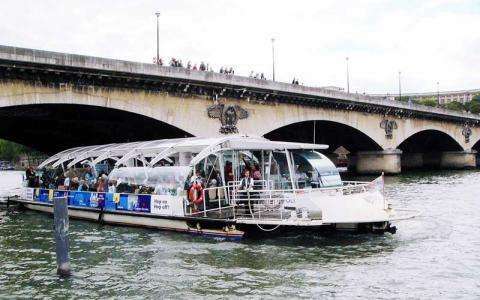 Batobus offers a tourist shuttle boat service along the Seine. With its fleet of 6 trimarans and 8 stops on the route, Batobus offers you a unique way to discover Paris. From April 6 to September 2th 2013 departure every 20 minutes .